Wandy Eriberto Rodriguez...Wife's name is Luz...Has two daughters; Wadelis (6/21/03) and Amanda (4/1/10) and one son; Wandy Jr. (10/19/11)...Was originally signed by Houston as a non-drafted free agent on 6/12/99. Tossed 6.2 scoreless innings while winning his first start on 4/3 vs. Chicago (NL)...Left his second start on 4/8 at Arizona in the third inning with tightness in his left hamstring; MRI revealed a hamstring strain and he missed his next scheduled start on 4/14...Returned on 4/19 and faced the minimum amount of batters (21) in 7.0 innings of work in victory vs. Atlanta (one hit)...Singled as a pinch hitter on 4/27 at St. Louis...Surrendered three home runs and seven runs total in 3.2ip and suffered first loss on 4/29 at Milwaukee...Did not allow a run in his first two starts and 14.2ip at PNC Park before suffering loss vs. Washington on 5/5 (6.0ip/3er)...Gave up one run in 7.0ip and won a 3-1 decision over Yovani Gallardo at PNC Park on 5/15...Won his fourth straight start on 5/26 at Milwaukee (5.0ip/3er)...Left his start on 6/5 at Atlanta in the first inning due to tightness in his left forearm...Was placed on the 15-day disabled list on 6/11 (retro to 6/6) due to left forearm tightness...Made rehab start with Triple-A Indianapolis on 6/23 vs. Charlotte (4.0ip/4h/1r/1er/1bb/5so - 73 pitches)...Received a PRP (Platelet Rich Plasma) injection on 7/1 and was shut down from throwing for three weeks...Threw a 35-pitch simulated game at PNC Park on 8/16...Was transferred to the 60-day D.L. on 8/21...Felt pain in his left forearm during simulated game/batting practice on 8/22...Was examined by Dr. Andrews in Pensacola, FL, on 8/27 and the results of the exam confirmed inflammation in the left forearm region....Made rehab start with Indianapolis during Game Three of the first round playoff series with Durham on 9/6 and suffered a 2-1 loss (3.0ip/3h/2r/1er/0bb/1so - 48 pitches)...Threw a 5.0-inning, 67-pitch simulated game at PNC Park on 9/12...Was shut down for the season on 9/14 due to continuing pain and discomfort in his left forearm. Went 12-13 with a 3.76 ERA in 34 combined games (33 starts) between Houston and Pittsburgh...Tied carer highs in starts and innings pitched (205.2)...Ranked 13th in the N.L. in innings pitched...Made first career Opening Day start for Houston, but came away with a no-decision (6.1ip/3r/0er) on 4/6 vs. Colorado...Lost first two decisions before winning for the first time on 4/22 vs. Los Angeles on a combined 12-0 shutout (7.0ip/3h)...Allowed two runs in 6.0 innings in his 4/27 start at Cincinnati to end the month with a 1.72 ERA (31.1ip/6er)...Won third straight start (7.0ip/1r) on 5/2 vs. New York...Lost two straight decisions before winning his fourth game on 5/23 vs. Chicago; the victory moved him into sole possession of second place on Houston's all-time wins list by a lefthander ahead of Mike Hampton (Bob Knepper is first with 93)...Moved into sole possession of 10th place in career wins in Astros history by notching his 79th on 6/14 at San Francisco...Allowed two runs in 7.0 innings, but lost a 2-0 decision vs. Kansas City on 6/19...Had streak of 48 consecutive starts of at least 5.0 innings pitched end on 7/18 at San Diego after lasting 4.0 innings and giving up five runs; was the third-longest streak in club history, the longest active streak in the National League at the time and third longest in the Majors behind C.C. Sabathia (75 games) and Justin Verlander (71 games)...Lost his final three starts with Houston before being acquired by Pittsburgh on 7/24 in exchange for minor league pitchers Rudy Owens and Colton Cain and outfielder Robbie Grossman...Made debut with Pirates on 7/28 at Houston and received a no-decision in Pittsburgh's 4-3 win (6.0ip/3er) - also walked a season-high five batters in the game...Suffered loss on 8/3 at Cincinnati (7.0ip/3er); also snapped an 0-for-29 streak at the plate with a single off Mat Latos...Lost career-high six straight decisions from 7/13 to 8/15...Pitched 2.0 innings of relief in 19-inning game on 8/19 at St. Louis and picked up his first win with Pirates; was his first relief appearance since 10/1/06...Did not allow a run in back-to-back victories on 8/29 vs. St. Louis (6.0ip) and 9/4 vs. Houston (7.0ip)...Pitched 16.0 consecutive scoreless innings between 8/29 and 9/10...Won his last four decisions and went 5-1 with a 2.86 ERA (50.1ip/16er) in his last nine games, beginning on 8/19...Went 4-for-61 (.066) with two RBI and eight sacrifice bunts overall at the plate; 4-for-24 (.167) with an RBI and three bunts with the Pirates. Reached double-digit wins for the fourth time in his career and has won at least nine games in each of his seven MajorLeague seasons (2005-11)...is one of only seven pitchers in franchise history to record nine-plus wins in seven-plus seasons, joiningJoe Niekro (9), Larry Dierker (9), Roy Oswalt (8), Nolan Ryan (8), Don Wilson (8) and Mike Scott (7)...finished his season with a 3.49ERA, which ranked fifth among NL lefties...did not allow a run in seven of his 30 starts...led the club with 20 quality starts...afterposting a 1-3 mark with a 5.40 ERA in his first five starts of 2011, went 10-8 in his final 25 starts (since April 30) with a 3.13 ERA(56ER/161IP)...ranks first all-time in franchise history in strikeouts as a lefty with 1,004...recorded his 1,000th career strikeout on Sept. 21 at CIN (Joey Votto)...fanned a career-high 13 hitters on Aug. 29 vs. PIT, which also marked a Minute Maid Park record for asouthpaw...became the club's all-time franchise leader in strikeouts by a LHP on Aug. 2 vs. CIN, surpassing Bob Knepper (946K)...had one trip on the DL in 2011, from May 28-June 12, because of left elbow joint effusion...made one rehab start for Double ACorpus Christi (1ER/4IP)...struck out six on April 30 vs. MIL, and Bud Norris fanned 11 batters in 7.2 shutout innings the next day...according to Elias, it marked the first time that Houston starters had consecutive scoreless outings in which they totaled as manyas 17 strikeouts since Mike Hampton (7.0 innings, 5 SO) and Randy Johnson (9.0 innings, 14 SO) did so, Sept. 6-7, 1998. Posted double-digit victories for the third time in his career by going 11-12 with a 3.60 ERA (78ER/195IP) in 32 starts...has recorded at least nine victories in each of his six Major League seasons...started the Astros second game of the season for the second straight year...had consecutive double-digit strikeout games on Sept. 11 vs. LAD (10) and Sept. 17 vs. CIN (10),becoming the first Astros pitcher to do so since Roger Clemens on Sept. 19 and Sept. 24, 2004...Rodriguez is just the third leftyin franchise history to do so, joining Randy Johnson (five straight, Aug. 28-Sept. 18, 1998) and Mike Cuellar (2x, last, Aug. 24-29, 1966)...on Sept. 17 vs. CIN, tied his career high with six walks allowed and recorded 10 strikeouts, becoming the fist Astrospitcher to post 10+ strikeouts, while recording 6+ walks in the same game since Nolan Ryan (11K, 6BB) on May 22, 1987 vs. STL...led the NL in ERA in August, posting a 1.34 (6ER/40.1IP) in six starts...allowed one earned run or less in five of six appearances...posted a 3-1 record and a 1.90 ERA after July 27...combined with Brett Myers (6-2, 3.20) and Bud Norris (7-3, 3.84) to go 16-6with a 2.90 ERA (80ER/248IP) in that span...made 13 consecutive quality starts after July 25...ranks as the fourth-longest of sucha streak in franchise history...is the longest by an Astro since Mike Scott went 15 straight games with a quality start from Aug.18, 1986-April 29, 1987...went 4-1 with a 2.38 ERA (9ER/34IP) in five July starts...after June 24, Rodriguez was 8-2 in 18 starts andled the NL with a 2.03 ERA (27ER/119.2IP)...in that time frame, he finished first in the NL in opponent batting average (.203), tiedfor first in strikeouts, fourth in winning percentage and tied for eighth in wins. Set career-highs in multiple categories, including wins (14), games started (33), innings pitched (205.2) and strikeouts (193)...posted a career-low 3.02 ERA...led the Astros pitching staff in wins, ERA, strikeouts and innings...posted 23 quality starts during theseason, tied for the sixth-most in a single season by an Astros pitcher in the last 10 seasons (2000-09) and the second-highest total by an Astros left-handed pitcher in that span...limited opponents to one-run-or-fewer in 11 of his last 17 starts after July 2...in that timeframe, owned an 8-6 record and a 2.72 ERA (33ER/109IP)...marks the 10th-lowest ERA in the Majors over that time frame...was 9-3 with a 2.08 ERA (25ER/108IP) in 16 games at home...in his 17 road starts, was 5-9 with a 4.05 ERA (44ER/97.2IP)...marked both the lowest home and road ERAs in a single season in his career...among NL lefties in 2009, ranked second inwins, third in ERA, tied for first in strikeouts, fourth in innings pitched and ninth in opponents batting average (.250)...overhis final nine starts of the season, posted 2.95 ERA (19ER/58IP)...with his win on Aug. 9 vs. MIL, moved past Dave Robertsand into sole possession of fourth place on the Astros all-time wins list by a lefty with 48...in seven starts from July 2-Aug.9, posted an 0.77 ERA (4ER/47IP) and a 5-0 record...tossed 18.0 consecutive scoreless innings, spanning parts of four startsfrom July 2-21...posted a career-long, six-game winning streak from June 21-Aug. 9...won the NL Pitcher of the Month awardin July...finished July second in ERA (0.75) in the Majors...set a new franchise record with his 0.75 July ERA, besting AndyPettitte's 0.90 ERA from July 2005...recorded the second complete game and shutout of his career on July 8 vs. PIT (5H/9IP)...struck out a career-high 11 batters for the second time in 2009, also May 14 at COL...on May 20 vs. MIL, allowed his first homerun since Aug. 10, 2008 at CIN, snapping a streak of 88.1 innings without a homer...it was the longest homerless streak byan Astros pitcher since Juan Agosto had a 91.2-inning homerless streak from July 4, 1989-July 2, 1990...among all activepitchers with a minimum of 100 innings pitched in April, he ranks sixth in ERA with his 2.70 career mark (34ER/113.1IP)...infive April starts, allowed more than one run only once...went at least 6.0 innings in each start...posted a 1.69 ERA (6ER/32IP)over his first five starts of the season, the lowest ERA by an Astros starter through their first five starts of a season since RogerClemens posted a 1.03 ERA (4ER/35IP) through his first five in 2005...started Houston's second game ofthe season on April 7, marking his earliest appearance in an Astros season in his career...started theAstros third game of 2008, the club's fourth game in 2007 and the third game of 2006. Went 9-7 with a 3.54 ERA (54ER/137.1IP) in 25 starts...went 5-5 with a 2.99 ERA (27ER/81.1IP) in 14 starts at home...his 2.99 ERAat home ranked as the eighth-lowest in the National League...posted three months with sub-3.00 ERAs: April (2.31), June (2.30) andSeptember (1.38)...limited hitters to a .208 average with runners in scoring position and two outs...missed two starts in Septemberbecause of a strained right oblique...tied his career high with a four-game winning streak from June 26-July 25 (six starts)...recordeda career-high 10 strikeouts on Aug. 26 vs. CIN...posted the fourth-lowest ERA in June among NL starters (2.30 ERA)...tossed 12.0consecutive scoreless innings between two starts from June 3-8...placed on the 15-day Disabled List on April 20 with a strained left groin and missed six starts during recovery...on April 7 vs. STL, tossed 7.1 shutout innings, marking his longest scoreless outingsince his complete-game shutout on July 6, 2007 vs. NYM...in his career, has recorded seven games of 6.0-or-more scoreless innings,including five games of 7.0-plus scoreless innings. Made a career-high 31 starts in 2007, posting a career-best 4.58 ERA (93ER/182.2IP)...his 158 strikeouts also set a career-high, previously 98 in 2006...the strikeout total also led all Astros in 2007 and ranked ninth all-time for Houston lefties in a single season...posted the fifth-lowest home ERA (2.94) in the NL and the lowest among NL left-handed pitchers...his home ERA was the second-lowest among Houston lefties since 2000 (Andy Pettitte, 2.12 in 2005)...was 2-1 with a 2.84 ERA (8ER/25.1IP) in his last four road starts since Aug. 31...pitched at least 6.0 innings and allowed two or less runs in three of those four starts...snapped his six-game road losing streak with 6.0 scoreless innings on Aug. 31 at CHI...was his first win on the road since June 5 at COL...his 6.37 road ERA was the highest in the NL in 2007...struck out a career-high nine on Aug. 6 vs. CHI...the Astros were 16-15 in his 31 starts, including wins in five of his last six starts since Aug. 26...was 4-1 with a 3.05 ERA (20ER/59IP) in his last nine starts at home from June 15-Sept. 15...Houston was 11-4 in his 15 starts at home in 2007...recorded a decision in seven consecutive starts from June 26-Aug. 1...was 6-7 with a 3.87 ERA in his first 17 starts...went 4-2 with a 3.00 ERA (15ER/45IP) in seven starts from June 5-July 6...was 6-2 with a 3.00 ERA (25ER/75IP) in his last 12 games at Minute Maid Park...won six of his last eight decisions at home after May 13, including four consecutive wins from June 15-July 26...tossed 17.2 consecutive scoreless innings at Minute Maid Park from June 15 vs. SEA (seventh inn. )-July 26 (first inn. )...pitched 7.0 scoreless frames vs. COL on July 1 and tossed his first career complete-game shutout on July 6 vs. NYM...ranked sixth among NL left-handed pitchers this season with 158 strikeouts...owned a 7.78 strikeouts-per-nine innings ratio in 2007, fourth-best among NL lefties (eighth overall in NL)...his strikeout-to-walk ratio of 2.55 ranks fifth among NL lefties...had 10 games with seven or more strikeouts this season...prior to 2007 (2005-06), he had only two games with at least seven strikeouts...picked up his first September victory since Sept. 18, 2005 with his ninth win on Sept. 20 at STL...allowed one run in 8.0 innings, his longest outing since his complete game shutout on July 6...ranked sixth among NL lefties with a 3.45 ERA in July...earned his third win, allowing one run in 5.0 innings on June 5 at COL...the win was his first on the road in 2007 and his first win on the road since July 2, 2006 (lost six consecutive decisions on the road from Aug. 19, 2006-May 24, 2007)...earned his first win with a victory over ARI on May 13...went 12 starts (18 games) without a win...tagged with the loss in his first start on April 6 vs. STL after allowing three runs in 7.0 innings. Finished the season 9-10 wtih a 5.64 ERA (85ER/135.2IP) in 30 games (24 starts)for the Astros...posted a career-best, four-game winning streak from April 5-26...waswinless in his last six starts, including a career-long, five-decision losing streak from July7-Sept. 17...Houston won his first five starts of the season (5-0 from April 5-26) and heearned the win in four of those outings...was one of 11 National League left-handers withat least nine wins this season...ranks ninth among NL left-handers with 19 wins since thestart of 2005...suffered the loss on Sept. 17 vs. PHI, allowing four runs and six hits in 5.0innings...suffered the loss on Sept. 10 at MIL with three earned runs over 5.0 innings in the 4-0 loss...started on Sept. 1 vs. NYM and received a no-decision, allowing three runs (two earned) in fourinnings...tossed 1.0 scoreless inning of relief on Aug. 29 vs. MIL...suffered the loss on Aug. 24 at PITwith five earned runs over 5.1 innings despite a career-high tying seven strikeouts...made his firststart since July 7 vs. STL on Aug. 19 at MIL...walked four and allowed four runs in 3.2 innings as he losthis second decision in a row...earned his ninth win on July 2 at TEX...did not allow a home run for thefifth time in his previous seven outings...allowed 10 hits and seven runs in 6.2 innings on June 26 at DET,suffering his fifth loss of the year...held the Twins to three runs (two earned) in 6.2 innings on June 21...did not allow a home run for the fourth time in his last five starts...improved to 2-0 during the day withfour runs in 6.0 innings on June 11 vs. ATL...tossed 7.0 shutout innings on three-days rest on June 6 vs.CHI...improved to 2-0, 0.75 ERA (1ER/12IP) on short rest in his career...made his shortest career start onJune 2 vs. CIN, allowing a season-high seven earned runs in 1.1 inning...posted the win on May 22 atWSH with a season-high seven strikeouts over 6.0 innings, also walking a season-high tying fivebatters...allowed career-highs in runs with 11 (six earned) and hits (10) on May 16 vs. SF...earned hisfifth win on May 11 at LAD...allowed one run and four hits in 6.2 innings...suffered the loss in a 5-0shutout loss at Coors Field on May 6 (Jennings threw a shutout for the Rockies)...received a no-decisionin Astros 2-4 loss at MIL on May 1, marking the first time the Astros lost with him on the mound in2006...4-0 with a 2.53 ERA in April...recorded his fourth consecutive win and his third in as many starts on April 26 vs. LAD, allowing five hits and two runs while striking out six and walking two in 7.0 innings...notched his third win of theseason on April 21 vs. PIT to extend his winning streak to a career-long three games...allowed one run over 6.0 innings...posted hissecond win on April 15 at ARI, tossing 7.0 scoreless frames with a career-high tying six strikeouts...three hits tied his career-low as astarter...did not walk a batter on April 10 vs. WSH in Astros 5-4 12-inning win...recorded the win in his first start of the season on April 5vs. FLA, starting in place of an injured Brandon Backe...surrendered three earned runs over 5.0 innings. Finished 10-10 with a 5.53 ERA (79ER/128.2IP) in 25 games (22 starts)...struck out 80 hitters and walked 53...allowed 135 hits and 19home runs...went 6-6 with a 4.44 ERA (39ER/79IP) in 13 starts after the All-Star Break...ranked second among NL rookies with 10 wins...finished third in starts (22), fourth in innings pitched (128.2), strikeouts (80), and opponent batting average (.274)...suffered the loss in WorldSeries Game 1, allowing one run and four hits while walking five at U.S. Cellular Field against the White Sox...posted a 2.45 ERA (1ER/3.2IP) intwo World Series appearances...struck out the only hitter he faced (Podsednik) in the top of the 14th inning in Game 3...allowed one run on asolo home run in the eighth inning (McCann) in the Astros 18-inning win in NLDS Game 4...second in winning percentage at .500...Septemberwas his only losing month in 2005 (1-4) despite posting his lowest ERA of any month at 4.26 (15ER/31.2IP)...received his ninth loss with fiveruns over 4.0 innings on Sept. 23 at CHI...tossed a career-high 7.1 innings and snapped a two-game losing streak on Sept. 18 vs. MIL...snappeda career-long, two-game losing streak on Sept. 18 with a win vs. MIL...became the seventh rookie (and third left-handed rookie) in Houstonfranchise history to win 10 games...5-5 with a 5.45 ERA (41ER/67.2IP) in 11 starts vs. NL Central opponents in 2005...9-6 with a 5.42 ERA in daygames this season...recorded quality starts in nine of his last 16 starts since June 27.... pitched at least 6.0 innings in 12 of his last 18 starts andin 14 of 22 overall this season...had a 5.57 ERA at home (46ER/74.1IP) and a 5.47 ERA on the road (33ER/54.1IP)...his first 16 outings were all asa starter...pitched a career-high 7.1 innings on Sept. 18 vs. MIL (7.1,4,1,1,2,1)...earned his first Major League win on May 28 at MIL (6,9,4,4,0,5)...made his debut on May 23 at CHI (5.2,6,4,4,1,6) and suffered the loss...was the second Astro to make his debut as a starting pitcher this year(Ezequiel Astacio, May 3)...also the first rookie LHP to make his MLB debut as a Houston starter since Jeriome Robertson on Sept. 2, 2002 atTEX...was one of nine rookies to play for the Astros in 2005...started in doubleheaders twice this season...made one start for Double A CorpusChristi during the All-Star break...earned his ninth win and tossed five innings of one-run ball on Aug. 30 vs. CIN (5,4,1,1,1,4)...suffered the lossin his first career relief outing, on Aug. 24 at SD (0.1,3,3,3,0,0)...pitched a career-high 7.0 innings on July 24 at WSH (no-decision)...recordedhis fifth win of the season with a season-high tying six strikeouts over 6.0 innings on July 19 at PIT in Game 2 of the doubleheader...did notrecord a decision for the first time in 2005 on June 21 vs. COL, tossing a season-high 6.2 innings in Houston's 6-5 win...earned his second MLwin on June 10 vs. TOR, walked a career-high six batters and did not allow a home run for the first time...made his first home start on June 4vs. STL, pitched a career-low 2.2 innings and allowed career-highs in hits (9) and runs (9)...suffered the loss in his first Major League start onMay 23 at CHI, allowed six hits and four runs in 5.2 innings...went 1x2 at the plate, including his first Major League hit...recalled from Triple ARound Rock effective on May 23, where he was 4-2 with a 3.69 ERA (19ER/46.1IP) in eight starts for Triple A Round Rock...struck out 48 hittersand walked 16 in 46.1 innings...went 4-0 at Dell Diamond with a 2.70 ERA (7ER/23.1IP). Made 25 starts at Double A Round Rock (26 appearances) and went 11-6 with a 4.48 ERA in his first season at the Double A level...was the only left-hander in the Round Rock rotation to start the year...ranked second on the Express squad in wins (11), third in strikeouts (115), and fourth in innings (142.2)...named the Texas League Pitcher of the Week for the week of Aug. 9-15...tossed eight shutout innings on Aug. 9 vs. El Paso with four hits and seven strikeouts, marking his 10th win of the season...also pitched eight shutout innings on Aug. 14 vs. El Paso...named Round Rock's Pitcher of the Month in June after going 3-0 with a 2.86 ERA (7ER/22.0IP)...played for Aguilas in the Dominican Winter League...team claimed league title...departed prior to Caribbean World Series to participate in Nolan Ryan pitching camp in Houston. Made 20 starts, including one complete-game shutout at Class-A Salem...named Carolina League Pitcher of the Week for Aug. 7-13 after tossing a one-hit shutout..
Named TOPPS Player of the Month for June while pitching for Class-A Lexington...led the club in wins (11) and strikeouts (137). Finished second in the Appalachian League with a 1.58 ERA...went 4-3 with one complete game and struck out 67 against 20 walks over 12 starts. October 13, 2017 LHP Wandy Rodriguez assigned to Aguilas Cibaenas. 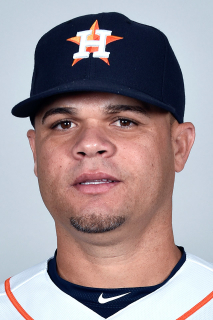 April 5, 2016 Houston Astros released LHP Wandy Rodriguez. 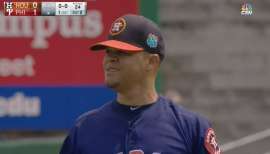 January 26, 2016 Houston Astros signed free agent LHP Wandy Rodriguez to a minor league contract and invited him to spring training. January 26, 2016 LHP Wandy Rodriguez assigned to Fresno Grizzlies. December 22, 2015 LHP Wandy Rodriguez assigned to Tigres del Licey. November 20, 2015 Omaha Storm Chasers released LHP Wandy Rodriguez. September 1, 2015 Omaha Storm Chasers placed LHP Wandy Rodriguez on the restricted list. August 17, 2015 LHP Wandy Rodriguez assigned to Omaha Storm Chasers. August 16, 2015 Kansas City Royals signed free agent LHP Wandy Rodriguez to a minor league contract. August 4, 2015 Texas Rangers released LHP Wandy Rodriguez. July 29, 2015 Texas Rangers designated LHP Wandy Rodriguez for assignment. April 24, 2015 Texas Rangers selected the contract of LHP Wandy Rodriguez from Round Rock Express. April 6, 2015 Texas Rangers signed free agent LHP Wandy Rodriguez to a minor league contract. April 6, 2015 LHP Wandy Rodriguez assigned to Round Rock Express. April 3, 2015 Atlanta Braves released LHP Wandy Rodriguez. January 25, 2015 LHP Wandy Rodriguez assigned to Gwinnett Braves. January 13, 2015 Atlanta Braves signed free agent LHP Wandy Rodriguez to a minor league contract and invited him to spring training. December 14, 2014 LHP Wandy Rodriguez assigned to Aguilas Cibaenas. December 14, 2014 LHP Wandy Rodriguez roster status changed by Aguilas Cibaenas. May 30, 2014 Pittsburgh Pirates released LHP Wandy Rodriguez. May 22, 2014 Pittsburgh Pirates designated LHP Wandy Rodriguez for assignment. May 15, 2014 Pittsburgh Pirates activated LHP Wandy Rodriguez from the 15-day disabled list. May 1, 2014 Pittsburgh Pirates sent LHP Wandy Rodriguez on a rehab assignment to Altoona Curve. November 1, 2013 Pittsburgh Pirates activated LHP Wandy Rodriguez from the 60-day disabled list. September 6, 2013 Pittsburgh Pirates sent LHP Wandy Rodriguez on a rehab assignment to Indianapolis Indians. August 21, 2013 Pittsburgh Pirates transferred LHP Wandy Rodriguez from the 15-day disabled list to the 60-day disabled list. Left forearm strain. June 23, 2013 Pittsburgh Pirates sent LHP Wandy Rodriguez on a rehab assignment to Indianapolis Indians. June 11, 2013 Pittsburgh Pirates placed LHP Wandy Rodriguez on the 15-day disabled list retroactive to June 6, 2013. Left forearm tightness. July 26, 2012 Pittsburgh Pirates activated LHP Wandy Rodriguez. 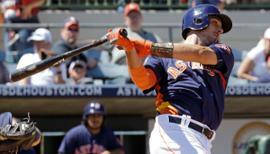 June 13, 2011 Wandy Rodriguez roster status changed by Houston Astros. 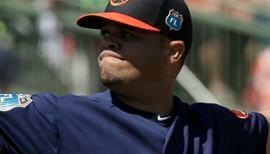 June 8, 2011 sent LHP Wandy Rodriguez on a rehab assignment to Corpus Christi Hooks. 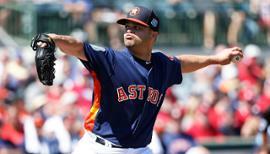 May 28, 2011 Houston Astros placed LHP Wandy Rodriguez on the 15-day disabled list retroactive to May 23, 2011. Fluid in his left elbow.